The air is dry, the sky is dry. Late spring in Andalucía — which can only end in an Andalucía summer — is still savagely beautiful, but it’s a beauty cut by the heat of a desert with no rain. Work will suffer, so it makes sense to leave. Andalucía, I’ll return. The path is lined with olive trees, and I left my books in Granada. Bus journeys in Spain this time of year are still like the heat, punctuated by 15-30 minute stops every 4 or 5 hours. 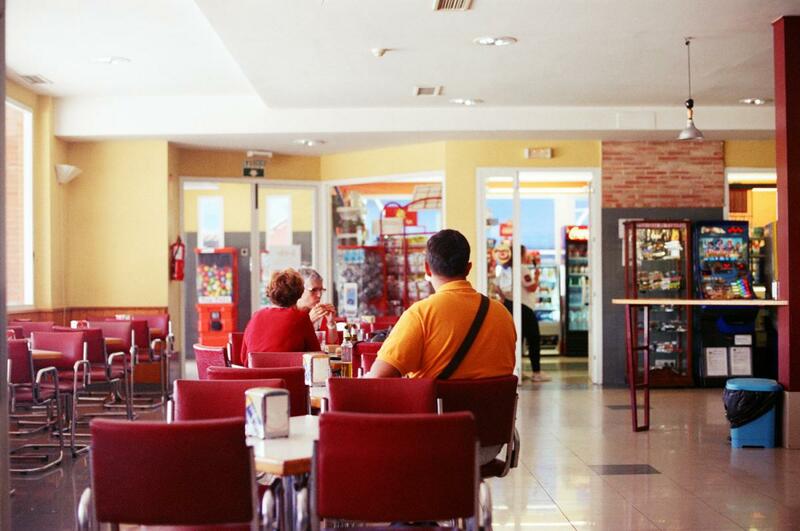 Some rest stops have air conditioning, but others are sunbleached relics, sentinels of old roads, serving warm midday beers on tap and cafés con leche. All these places have the same air of desolation, the same crumbling plastic chairs. You don’t wonder where you are, but how long until you’ll leave. So you forget them, and they’ll forget you, as simple as that. There was a 2-hour wait in Madrid. On the second and third buses, I started to lose track of time. At some point in the night, after we had crossed into France, it started to rain. It rained like the sky was emptying its last grievance into the darkness. When I woke up, it was still raining. The bus slowed. It pulled into something resembling a town, then something resembling a street, then a parking lot surely. All the while wipers pushing against the pouring rain. It must have been around 4am. A woman was waiting with a wet suitcase in the rain, waiting under an awning. Arrivals are strange things. Complacent and nebulous things. But only temporary, after all.